Я тоже влюбилась в ваши винтажные кресла! Thanks for links to fantastics tutorials. 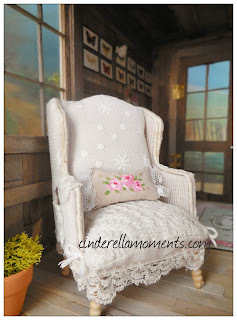 Loving your lil furniture, so adorable and cutsy. Your lil bed looks cozy comfortable too, and that lil bistro chair, so sweet. You are amazingly creative my dear, and hope you are doing very well indeed. Well, off to beddie bye, you take care sweetie. 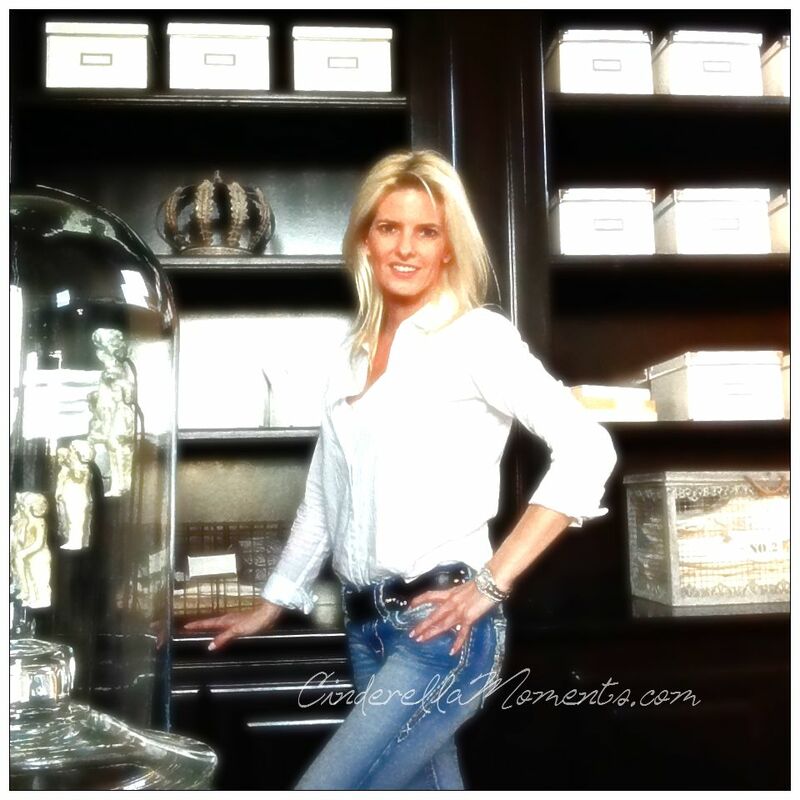 I love everything, fabulous furniture. You have such a lovely way of putting everything together. So beautiful! I love that chair. I have planned to do an Emma-chair too. I look forward to seeing what else you come up with. Wat romantisch allemaal. Heel mooi. I love your lovely romantic pieces of furniture. The painting on the bed is your special touch and style. Thank you for the tutorial links. Hi Caroline! I love your chairs and the bed, especially your delicate paint work. The bedding is fantastic, I would like to take a nap on this lovely bed. Thank you for sharing these tutorials and links :D! Love the chairs!!! 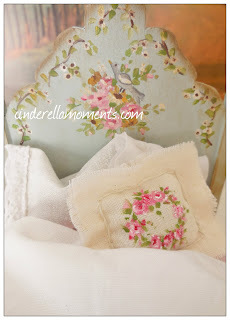 The little pillows and lace....so beautifully shabby!! You did a wonderful job on the ottoman even you don't think so. I love the bed. It went with the little cottage perfectly. Hello Caroline! Your furniture collection is really awesome! 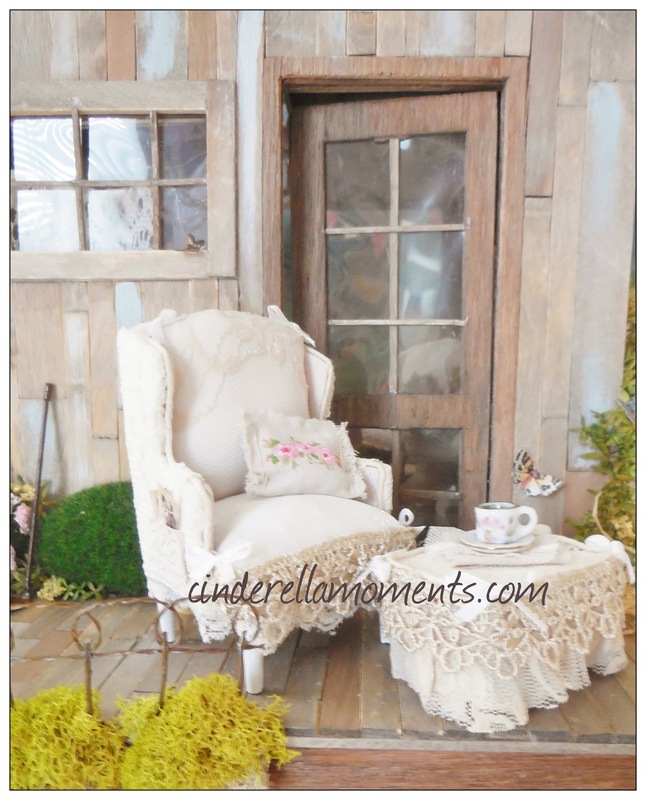 It is such a girly, feminine and oh so romantic Collection of lacy Confection! 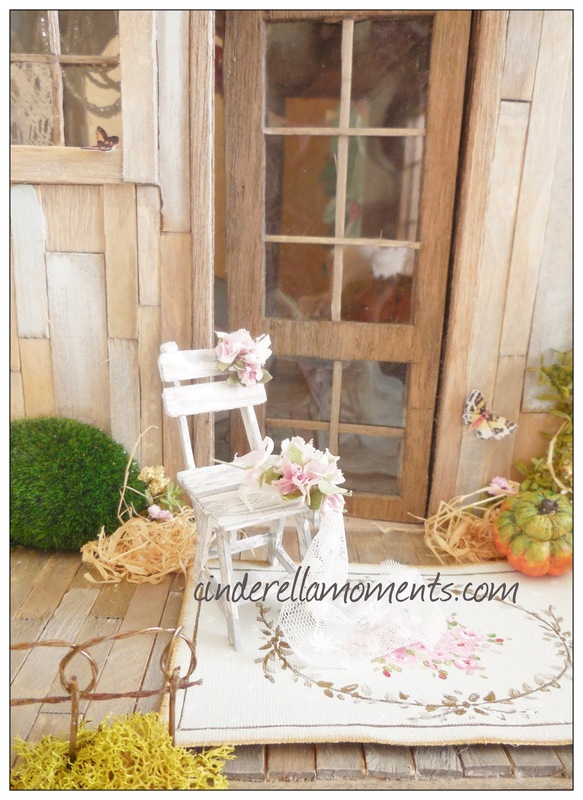 What better way to furnish your marvelous cottages but with some equally unique and signature pieces that are shabby and so chic and so totally Perfect! These are completely stunning, Caroline... 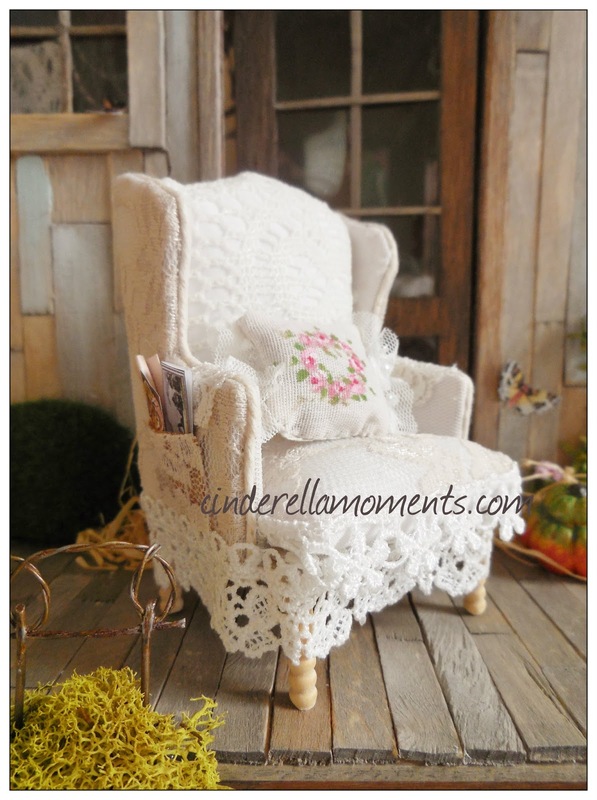 I often find miniature armchairs very disappointing, but this one looks as though one could just curl up in it with a favourite book. The roses on the bed and pillows are exquisitely done, and the bistro chair is adorable... Bravo!! I really love your furniture, gorgeous style. I had already admired it in your Etsy shop. Hi Caroline Your furniture is gorgeous. I love the romantic armchair. Your bed is stunning and the pretty beautiful bedding is perfect for it. Thanks for the links. Me encantan, una maravilla de trabajo me gustan las dos cosas tanto la cama como el sofá, han quedado perfectos. Как мне нравится ваш стиль! Такой нежный, романтичный. Роспись на кровати!!! Это прекрасно! Очень нравятся кресла и стул! I tuoi mobili e la biancheria sono molto romantici e la poltrona è deliziosa e romantica! your chairs look wonderful! 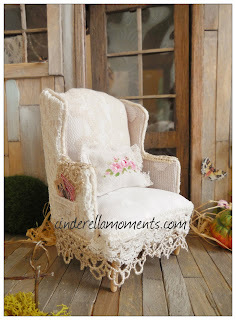 I really like the lace too it gives the chair a warm homely look! you are really just buzzing along there Missy it's been so hot here all I want to do lay around like the dogs. you should see my kitchen table it's a mess but I'll get to it sooner or later. are you going to make a table to go with those bistro chairs? you really should I'd love to see what you come up with! Your chair and bed are very romantic. wat ziet dat er weer prachtig uit geweldig mooi. How awesome!!!! I'm glad you came by yesterday. you really need to come to the party. You create whole worlds of make-believe that everyone would love to visit. Just love all your new furniture. I would love a big version of that chair! you are just gonna have to some Christmas Fairies house...or cottage with rose or blush....burgundy that's still red LOL I want more to see you magical homes..
O.k.....you know I am swooning over your gorgeous chair here! Oh my it is amazing! I love each choice you have made in your design. Perfection!!! The ottomon too! 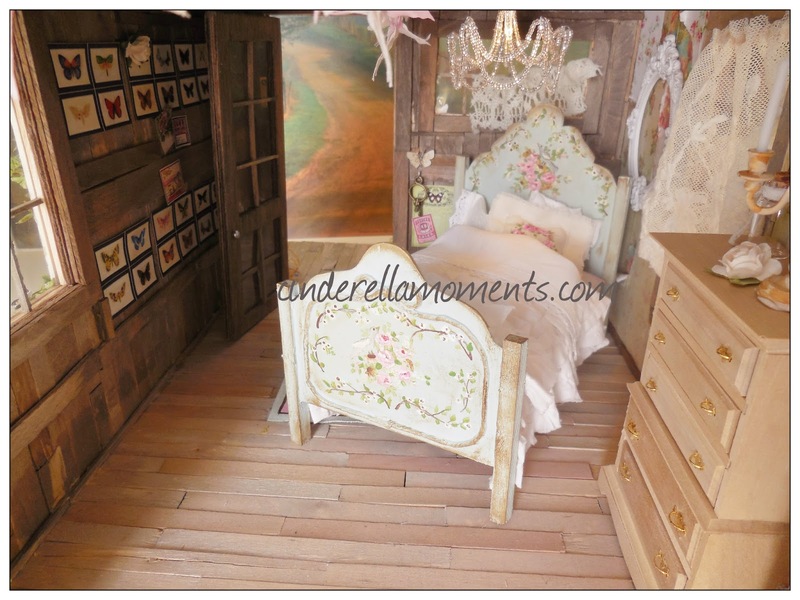 And that bed...and all the bedding...o.k. now I have to figure out what is even more than swooning! These are stunning! Hi Caroline, I absolutely understand why your furnitures are so popular, they are adorable!! Don't know if you remember me, I'm back in Blogland after a long break. Me habia perdido esta maravilla. Tu estilo es tan personal y fantastico, que en cualquier sitio podria saber que el trabajo es tuyo, me encanta.